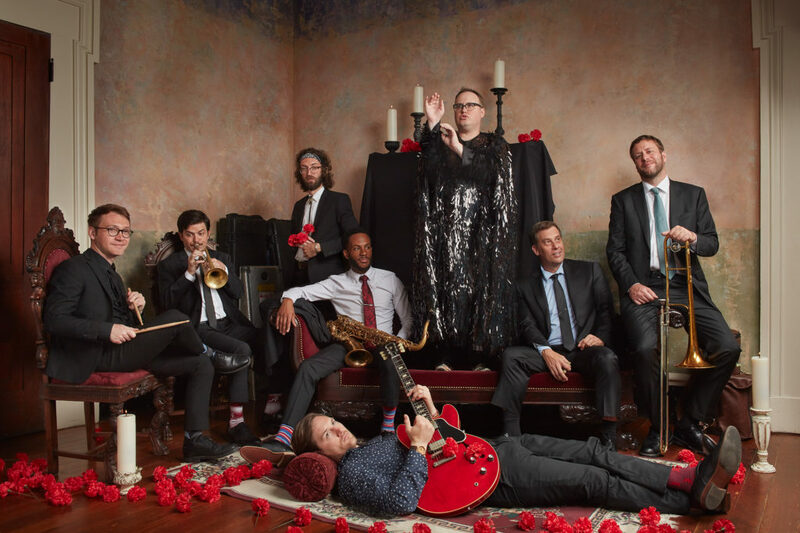 St. Paul & The Broken Bones formed in 2012, releasing their debut album Half the City in 2014 and its follow up, 2016’s Sea of Noise, too much acclaim. Those strong efforts helped place them on the national scene, and the band worked hard to prove they were no mere retro-soul band—from touring the world relentlessly, including opening for The Rolling Stones, to appearing on every talk show imaginable. Paul Janeway’s fearless showmanship, thoughtful lyrics, and dedication to his performance soon became the band’s calling card, and paired with the inventive and skillful direction of co-band leader Jesse Phillips as well as a full eight-man roster comprised of some of the best young instrumentalists in the South, they soon became a must-see event. Over time, Janeway has learned the art of balancing expectations and how to reconcile his past with his future, just as his band have learned how to overcome their perception by pushing against its ceiling. In embracing those things he cannot change, he has forged ahead as an artist and as a man. And with his band’s new album, Young Sick Camellia, Janeway has created a space for St. Paul & The Broken Bones to rival any forward-thinking band making music today, based on a concept all-too familiar to him: family, and how we love them despite our differences.